Last semester (spring 2018) students from two of Patricia Reilly’s art history courses were asked to create short, fictional “documentaries” about found artifacts. 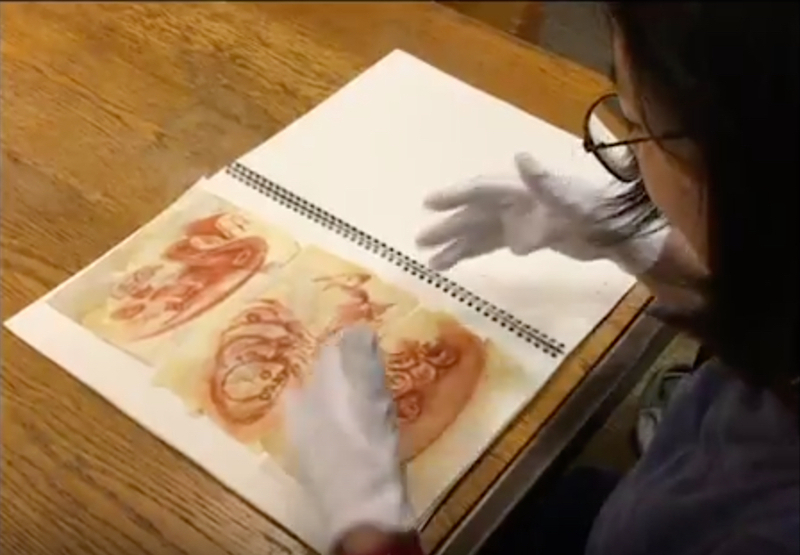 In reality, the artifacts had been designed by students themselves, who portrayed researchers on camera and explained the significance of their discoveries. Participants helped each other through the production process by scouting locations, doing camerawork, acting and editing with Adobe Premiere. The results were impressive – notice the attention to lighting, color palette, costumes and framing when you watch the videos below… and look for editing decisions that enhance production value, like moving stills, careful use of b-roll and creative music selections. It’s important to point out that these were not filmmakers by training – in fact, some members of the class were producing videos for the first time. Congrats to some fast learners, good storytellers, and creative people! Do you have a similar project in mind? Get in touch with the Language and Media Centers (lmc@swarthmore.edu) for audio and video production workshops.